Well it would appear that the Prime Minister has well and truly set the cat amongst the pigeons with her decision to call a snap General Election over Brexit. It is a move that has sent something of a shockwave through all political parties. I cannot help but think that this election which will be held on June 8th will not only decisively settle the issue of Brexit in Parliament but will also ultimately turn out to be something of a game-changer for the face of British politics for years to come. With all political parties caught off guard, their leaders had little choice but to express their individual optimism of how well they all think this election will turn out for their own parties but I do suspect without the usual hype that normally proceeds known General Elections, there is something of a background panic at suddenly having to muster their unprepared troops for this unexpected contest for the future of the nation. 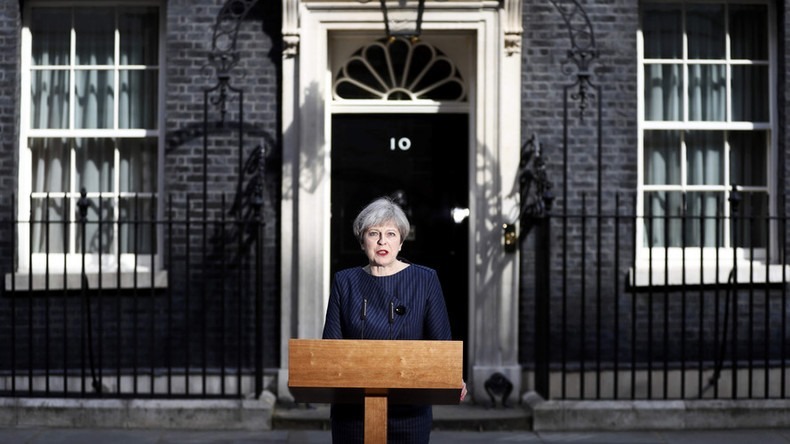 I can only make possible predictions based on my own personal reading and feelings of the state of play in British politics, and public opinion, but I have little doubt that after the votes are cast and counted Teresa May will be returned as Prime Minister with a vastly increased majority. If that eventually proves to be true, then it begs the question of which political parties will lose-out? I have little doubt the majority of the loss will be felt by the Labour Party which seems to be in a constant state of disarray and turmoil between its grass-root members and current Members of Parliament. There was a good chance that some of these MP’s would have been deselected by their own parties in the normal course of events, but the calling of a snap election now means there is no time to go through the normal selection process and existing Labour MP’s will stand again as candidates. It is however well possible that in some constituencies, many local members may feel disinclined to campaign for them. Although the undisputed leader of the Labour Party, I have always felt that Jeremy Corbyn has lacked the dynamic charisma necessary to lead a party. Although well meaning in his views, most of them tend to boil down to a mixture of either tax the rich or introduce even more taxes to pay for his aspirations. For a already heavily taxed country, it is a message unlikely to be well received. If Labour do lose heavily then either Jeremy Corbyn will resign and opportunist MP’s, not to the liking of many Labour members, who have been waiting in the wings will once again attempt to seize control of the Labour Party. Either that or if Jeremy Corby stays,some of them might attempt to form their own political party. Whatever way it plays out, there are just so many of Labour’s traditional electorate who feel Labour have long ago lost their way in recognising who it is supposed to represent, and why, that Labour is becoming almost meaningless in their traditional supporters eyes. One thing is for certain, a political party which is at war with itself does not win votes. The Liberal Democratic Party will obviously pin its hopes on making something of a recovery, but I cannot help but feel that even if they do win a few more seats from their already decimated position, they are still destined for years in the wilderness. The public has long memories and former university students who are now married with families and mortgages, and with hefty debts accrued while at university as a direct result of their then leader reneging on his pledge not to introduce university fees. With that and their failure to accept the democratic majority vote in the Brexit referendum, they curry little favour in many of the publics eye. For the Scottish National Party (SNP) who command a sizable position within Parliament, I think this election could well prove the beginning of their decline.I accept they are still likely to be the biggest winning party in Scotland after the election, but I also think it possible they may lose a number of seats. If the SNP do lose a few seats, it is likely to be as a result of their incessant demand for yet another Independence Referendum even though there was one such ‘once in a lifetime’ referendum only a few years ago. It does seem the majority of Scottish voters are not in favour of having another referendum forced on them and this is likely to cause some resent apart from that often felt towards most governing parties. Losing a few seats might not seem the end of the world but it would show the SNP’s position in Scotland is not impregnable and would be the start of the slippery slope to eventual defeat..
As for the United Kingdom Independence Party (UKIP), now that the vote for Brexit has been achieved, I am not sure they have too much of a future. Support for UKIP swelled enormously when there was a lot of pressure for a Brexit Referendum on which UKIP’s stance was clear. Now that has passed and with a Tory Party now implementing the same thing, apart from ensuring Brexit stays on course, many voters including myself do not understand what other policies they stand for. I am certain they do have policies but for some reason their message never seems to come across. UKIP did manage to succeed in getting one Member of Parliament elected but he has since defected. I think they are still likely to do reasonably well in this election particularly from disaffected Labour Voters but due to the current Parliamentary system, this is likely to result in few, if any seats in Parliament. I would not be at all surprised if future historians will look back at this General Elections as being a defining moment and something of a sea-change for British politics.